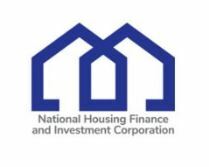 The Community Housing Industry Association (CHIA) is helping the National Housing Finance and Investment Corporation (NHFIC) deliver lower cost and longer tenor finance to Community Housing Organisations (CHOs) by coordinating a grant program that funds Professional Advisory Services. The Affordable Housing Bond Aggregator (AHBA), providing loans to registered CHOs on terms more favourable than offered through commercial markets. Loans can be used to buy or build new social or affordable housing, maintain current housing, provide working capital or refinance existing debt. The National Housing Infrastructure Facility (NHIF) which provides finance for infrastructure projects that unlock new housing supply, particularly affordable housing. NHFIC’s first AHBA loan to a CHO was announced in January 2019, and in March 2019 a $315 million social bond was issued. This bond provided funding for several CHOs at under 3% per annum fixed-rate interest-only over 10 years. Read more on NHFIC here. While initial loans have been to larger CHOs, NHFIC wants to encourage applications from smaller and medium-sized CHOs. NHFIC has therefore funded CHIA to administer grants to eligible CHOs, for Professional Advisory Services from consultants on an approved Panel that will help with NHFIC loan applications. Grants of up to $20,000 (GST inclusive) available to CHOs registered as Tier 2 and 3 (under the National Regulatory System, and the WA Regulatory Framework), and ‘Housing Providers’ (by the Victorian Housing Registrar). Grant referrals to CHIA from NHFIC, based on CHOs providing at least an initial expression of interest for AHBA or NHIF finance. CHOs can select consultants from names on the approved Panel. Grants should be targeted at assisting CHOs in applying for AHBA or NHIF finance, with a focus on providing Professional Advisory Services in the following area: finance, business planning, property development and risk management. The terms and composition of the Panel will be finalised after interactive workshops open to CHOs and consultants, to allow sector feedback. Consulting firms and individual consultants can apply to be Panel members through an Expression of Interest (EOI) process. The application process will be kept straightforward, with the main eligibility criteria being consultancy track record, understanding the community housing sector, and skills providing the relevant Professional Advisory Services. This project is being coordinated by two CHIA contractors who will not be Panel members. Please email Tony or John to attend workshops or be invited to the EOI.